You may know Holes (2003) as the simple tale of Stanley Yelnats III and his run of bad luck that puts him in Camp Green Lake. In truth, Holes covers a wide range of topics that are genuine issues in the real world. Once you look past the star-studded cast and the curse of Madam Zaroni, you find that Holes hits on some hard truth. With that in mind, let’s take a look at how exactly this Disney flick manages to touch on some problems facing people in everyday life! “Family” can have a very different meaning to each and every one of us. One thing that Holes frequently brings up is the desire to love and to be loved by family…and the consequences that can unfold when that isn’t the case. There are a number of characters whose actions (and reactions) are the result of family problems. 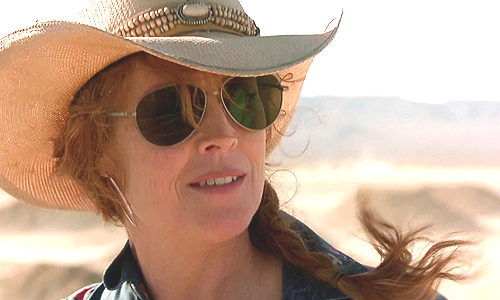 We’ll start off by taking a look at none other than The Warden herself (played by Sigourney Weaver). We only see a small glimpse into the early life of The Warden but that snippet is more than enough. Having once been a rich man from a rich family, the Warden’s grandfather’s desperation for wealth drove him mad. This madness would spread to his granddaughter who he would force to dig holes in the dried up lake. We can only guess that she was no older than 14 at the time. All in search of treasure that may or may not even be buried there. The Warden is often portrayed as a villain (something we will explore further) but she actually has a tragic and unfortunate past. At the very least, we can all agree that family may not be all it’s cracked up to be as far as the Warden is concerned. Of course when discussing family, it would be impossible to ignore Zero (Khleo Thomas). In fact many of the boys at Camp Greenlake refer to their unfortunate family situation. There are several comments related to single mothers or poverty-stricken families. Zero is one of these stories which we get to explore in more depth. Zero grew up homeless (something we’ll come back to) with just him and his mother. Sadly, he quite literally loses her. Upon becoming rich at the end of the movie, Zero hires a private investigator to find her. His story highlights that family isn’t necessarily about living in a happy home or having dinner together, it’s about that desire to share what you have with those you love…even if it isn’t very much. Stanley Yelnats may be the main character of Holes but he’s not the only character we come across. Stanley lives with his father, mother and grandfather. Through various flashbacks and the telling of stories, we get glimpse into the life of the Yelnats family. This includes the no good, dirty, rotten, pig-stealing great, great-grandfather Elya Yelnats. Elya was a man searching for love…love which came at the cost of a pig. 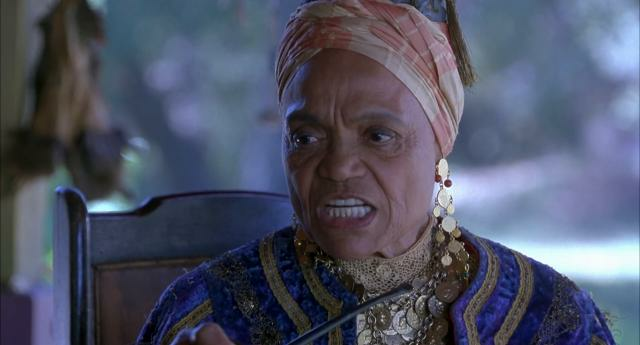 Due to failing to keep his promise to Madame Zeroni, the Elya brings a curse of bad luck upon this descendant. Generations later, we see Stanley’s family struggling to get by. Without luck, they are stuck in a small flat with smelly shoes and no real break in sight. This includes the unfortunate (or arguably fortunate) moment where Stanley gets arrested for stealing a pair of shoes that quite literally fell out of the sky. One thing is certain in Holes: family is a crazy concept and, for good or bad, you can’t choose your family. We touched on the notion of homelessness a moment ago. Holes is very clever in how it portrays the earlier life of Hector Zeroni. Zero and Stanley are discussing Laney Park, a spot where Zero’s mother would leave him while searching for a way to earn money. Stanley laughs about how much fun he used to have at this very park. It’s at this moment that Hector quite bluntly responds by describing the tunnel he slept in at night. This offers a stark comparison between Stanley’s average yet happy home to Zero’s desperate attempt at survival really draws in on the issue of homeless which not only affects adults but also children. After all, we quite quickly learn the nature of Zero’s life from this moment on. The disappearance of his mother leads him to a homeless shelter. In fact it is while staying at a homeless shelter that Zero stumbles upon the shoes of Sweet Feet. These are of course the very same shoes that Stanley ends up being blamed for stealing. Zero isn’t a villain by any means but rather a victim. It’s only through stealing to survive that he winds up at Camp Green Lake in the first place! Arguably the saddest moment in Holes comes from the love story of Sam and Katherine Barlow, a local teacher. Prior to the lake drying up, a small town existed on the edges where children went to school, locals traded goods and rich people went duck hunting. Taking place a few generations before the modern day, Sam and Kate’s story is a tragic one. Yet it reflects on an issue that is still prevalent today. As an African-American, Sam is viewed as unequal to the Caucasian members of his local town. He sells onions and various onion-based concoctions to the locals but other than that, he and his donkey Mary-Lou stay out of everyone’s way. That is until a love blossoms between him and Miss Katherine, the local school teacher. As Sam offers to fix leaking roofs, jammed windows and broken hearts, a kiss is shared between the pair. This kiss seals Sam’s fate as locals burn down the school and set out to have Sam hanged. This results in him being shot as he tries to flee across the lake. This tragedy leads to the creation of Kissing Kate Barlow and the dry, desolate lake familiar to the delinquents of Camp Green Lake. Holes may be fictional but the way it tackles racism feels very real. When an entire community (including the sheriff) turns against a single man purely because of the color of his skin, it’s impossible not to feel outrage. Holes reminds us that we should judge others not on appearance, but on character! When it comes to Hollywood, we are used to a certain type of villain: the mask wearing Lord Vader or the pale and nose-less Voldemort. Even characters such as Loki, Thanos, Hannibal, ETC, are all quite obviously villains. Unfortunately, in the real world villains hide among us. There aren’t always masks, capes, sceptres and gauntlets to signal that a character is the bad guy. Holes raises some interesting views when it comes to the idea of “evil”. Let’s take a look at Kissing Kate Barlow first. She robs banks, people, shops, carriages and murders literally everybody she kisses. Yet it’s hard to view her as an evil character given the warmhearted, kind and innocent teacher we were introduced to earlier in the story. We touched on the Warden at the start. Is she evil? She offers an area where criminal youths can build character, stick to routines and become disciplined. Sure, her motives are less genuine and towards the end of the movie she acts in ways more in line with a typical villain. But keep in mind that she was raised in an imperfect situation with only one goal in mind: dig! We don’t find out much about Mr. Sir and Dr. Pendanski. Given that one has a criminal record and the other isn’t even a doctor, they are perhaps the shadiest “villains” within the whole film. The only character who we can view as being evil and villainous is in fact the Warden’s grandfather: Trout Walker, a man fuelled by greed, jealousy, hate, intolerance and many other negative characteristics. His treatment of those poorer than him, less intelligent than him, different from him and even his own family is enough to grant him villain status. Moving on from the more serious issues that Holes touches upon, we reach one philosophy that is perhaps the focal point of Holes: luck. The running theme of Holes is that a cursed family will be stuck in a position of misfortune until the cause of their unluckiness is fixed. Regardless of whether you view the concept of luck as nonsensical superstitions or a universal force to be wary of, Holes offers a uniquely interesting perspective. In the movie, the Yelnats family are quite happy shrugging off all misfortune as being the fault of Elya Yelnats. Failing business? Blame Elya. Wrongfully arrested? Blame Elya. Sent to a desert camp for juvenile delinquents? Blame Elya. In essence, this blame actually acts as the cause of the misfortune. Obviously, within the movie universe luck and curses are a very real phenomenon, BUT what if they weren’t? The moment where Stanley’s luck changes isn’t necessarily marked by singing a song to Hector Zeroni but rather his own mindset. Stanley decides that he isn’t going to live his life based on the guidance of others. Stanley has decided that the treatment of kids (particularly Zero) at Campy Green Lake is unacceptable. He’s decided that friendship is worth risking punishment and even your life for. He decides that despite being cursed he’ll run off into the desert after Zero. This is a situation that even lucky people would struggle to survive through. After all, as Mr Sir very rightly points out: there is a reason there are no fences or guards. Holes teaches us that we make our own luck and blaming all of life’s misfortunes on an ancestor will keep you in a rut! 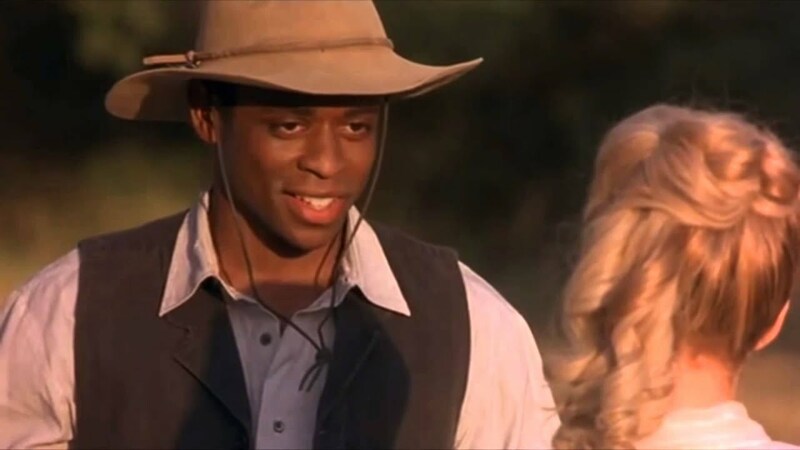 Of course it’s possible that I’m applying far too much meaning to what is ultimately a Disney movie…but I like to think that Holes is actually one of the better and more mature Disney films still aimed at kids. With Disney milking all its franchises dry these days, it’s nice to see something that stood out on its own! Thank you for reading! What are your thoughts on Holes? Is it a movie you remember fondly? Comment down below! This is why this book is one of my favorites of all time. I liked the movie and it followed it very well, too! For me, Kids’ lit is one of the best ways to tell a story and Louis Sachar does a great job with Holes. Still one of Disney’s best live-action movies. Too bad you didn’t post this years ago. I’ve watched snippets or the whole movie many times with my kids when they were younger. I never did quite understand it.